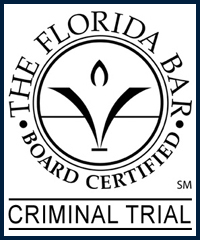 Lakeland Drug Crime Defense Attorney - Lawyer, Providing Professional Drug Crime Criminal Defense Attorney legal services for Lakeland, Winter Haven, Bartow, Polk County, and the surrounding Central Florida area. Call 863.660.2185 to Speak with Lakeland Drug Crime Defense Attorney / Lawyer, Joshua E. Schoen. While there are various types of Drug Crimes with varying conviction penalties, all Drug Crimes are typically prosecuted in an aggressive manner by the District Attorneys Office, or by Federal Prosecutors, depending upon the nature and specifics of the alleged drug crime. From simple drug possession to drug trafficking, if you are arrested and charged with a drug crime, you have been caught in the crosshairs in the Governments Political war on drugs. Seeking the legal advice and representation is the first thing you should do in a drug crime case. Drug Crimes involve illegal drugs, illegally obtained prescription drugs, or certain other chemicals. Protect your rights by seeking the legal advice and representation of an experienced Lakeland Drug Crime Defense Attorney / Lawyer. Contact Lakeland Drug Crime Criminal Defense Attorney / Lawyer Joshua E. Schoen at 863.660.2185 in the Lakeland, Winter Haven, Bartow, Polk County, and the surrounding Central Florida area.